BBC Radio Foyle, the BBC station for the west of Northern Ireland, is now available to Sky and Freesat users in the province. It had been observed testing on satellite from early September ahead of the move. The station is also available on Virgin Media's cable network. The move has concluded a staged increase in the number of platforms BBC Radio Foyle is carried on. Until now, Freeview was the only digital TV platform it had been carried on. 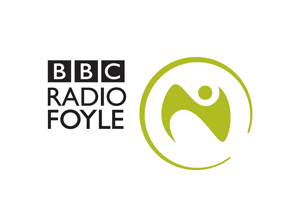 Earlier this year, BBC Radio Foyle launched on DAB digital radio in Northern Ireland. The station simulcasts BBC Radio Ulster outside of local, mostly peak-time opt-outs. Unfortunately like other stations that not available to the whole of the UK, there is no facility on the Sky EPG for programme information to be given. The same thing affects BBC London and NKWA radio, clear solid sound but no information as to what or who is broadcasting. Freesat however does give information in their screen saver as to the programme presenter and programme subject. Let's be grateful for Freesat! This must be a first for a BBC community radio station. Only the BBC regional radio & BBC Radio London were previously on satellite. I note, there has been shrinkage of late in the radio section of the Sky EPG!